When the cooler weather abruptly ends the summer like it has for us this year, I start thinking about making hats! Even though I’ve made many hats for our family and other friends over the years, it’s always nice to have a new handmade toque (that’s Canadian for winter hat) to keep your head warm. Check out some of the gorgeous hat patterns I found for you to make this fall. This gorgeous crocheted racoon hat and cowl pattern was designed by The Hat and I, a designer whose patterns I can’t get enough of! (I’m sure you’ll find many of her patterns pinned in my Hats & Headbands board!) She has so many sweet and whimsical patterns of all kinds. You should really check out her shop; you’re sure to find something in there you’ll like! Also, what’s really fun about her shop is that if you check out enough of her patterns, you can watch her beautiful little model grow up! I’ve had this sweet and simple little kitten or fox ears beanie (that’s American for toque) pattern pinned on my Pinterest boards for a while. I need to pick up some soft baby alpaca yarn in a lovely orange colour to knit this into a fox hat for my colleague’s new baby (a girl!). And I just love how this designer (Patternery) has styled these photos! So lush and cozy! While I am completely not a lover of candy corn for eating, it is quite fun to look at and this candy corn hat knitting pattern is no exception. This chunky pattern looks quick and easy to knit up, for some mindless knitting while waiting to pick up kids from practices this fall. Hat patterns are great projects for tucking in your purse to work on when you have a few spare minutes. They make such lovely gifts and they’re easy to travel with. And if you’ve ever wondered how to make such perfectly puffy and round pompoms, there’s a tool for that! You can get one here; I love mine! Knifty Knittings (the designer of the candy corn hat) has a whole bunch of gorgeous knitting patterns for you to try out. Since I often post a lot of crochet patterns, I thought I should help some of the knitters among us find some great knitting patterns! Here is another sweet and whimsical hat pattern from Knifty Knittings: a simple little pumpkin hat pattern. While it says it’s for kids, the pattern does have instructions for all sizes up to adult. These simple patterns are perfect for new knitters, especially if you’re new to hat-making. If you’re a more advanced knitter, I’m sure you could come up with a similar pattern yourself and these make for some great ideas! However, even as a fairly accomplished knitter, I find the help of a pattern saves a lot of time and I usually end up with a better result. I’ve been trying to write my own pattern for a while, and let me tell you, pattern creation is not easy, so support your pattern designers and don’t begrudge them a few dollars for a pattern! It’s lots of work! Last year, these slouchy & non-slouchy hats with fluffy fur pompoms were very popular and I think they will be just as popular this year. I made a bunch of pompom-topped hats last year for my kids and their friends (and myself) and we’re all still loving them. I love the diamond pattern in this Arabesque Hat Pattern by NinaBellaCo. Also, as a bonus (because a lot of designers just create patterns and not many of the finished works), if you’re not a knitter or you just don’t have time this fall, you can have one made for you! I know I’ve shared this pattern before, but I love the design of The Teagan Beanie and it is a CROCHET pattern, which I think is amazing! This cosy hat pattern would make a great handmade gift to make! This Hudson’s Bay Blanket-inspired toque is so adorable! This hat is already made up, but I’m sure if you can knit, you can probably figure it out, or check out this pattern. Something about those Hudson’s Bay stripes that just shout cosy and warm snuggly fall… or is that just for Canadians? This Uptown Girl Cloche Crochet Pattern completely says back to boarding school to me! Can’t you just picture an adorable school uniform under that hat? The strap with the button closure makes a really polished finish. So go forth and pick yourself up a pattern and some yarn and get making some hats! Pin it for later, so you can find it again! Monsters aren’t so scary when you make them yourself out of yarn and stuffing! Stuffed, crocheted, amigurumi toy monsters are adorable and make fun handmade gifts for kids of all ages! Check out these cute monster amigurumi creations and patterns to make! See? Nothing to be afraid of here! You can make this adorable Mel the Monster and Friends Amigurumi without any fear! Or, if crocheting isn’t your jam but you still want one for yourself, DWcrochetattic will make one for you! You can go to the listing for a made to order monster from this pattern here. Monsters definitely can’t be scary if they’re pink and have soothers, right? This sweet monster family amigurumi pattern would be a lovely welcome gift for the family of a new baby! This is probably the most frightening of all the monster patterns because it is a SLUG, the most feared and disgusting of all garden creatures. Like, really, so gross. I hate these things in real life. It’s almost bearable in amigurumi format. At least it is purple and has multi-coloured spots on it. You can get the pattern here. But maybe you’re thinking “Halloween is coming. I might need a monster for my pocket.” Or maybe you’re a super-awesome neighbour and don’t get a bajillion kids coming trick or treating at your house and you want to make candy-free,-but-almost-as-cool-as-candy-and-will-definitely-last-longer-than-candy-and-not-rot-your-teeth-or-spike-your-blood-sugar treats for all the kids in your neighbourhood. In that case, you could totally make some of these Franketstein Pocket Monsters. I need to make myself some new slippers, so I have been searching for a fun pattern to make. With Halloween approaching, perhaps these monster slippers would be appropriate. I know they would certainly surprise my kids, but I’m not sure they would cover my monstrous crocs (which is what Mr Evangelist prefers). So, nothing to be afraid of here. Make yourself a monster to get into the spooky spirit and I think you’ll be making yourself a little stuffed friend. Get a pattern today or pin it for later! In my last post, I was protesting that it was still summer, but I must admit now that fall is fast approaching. The weather here turned quickly and now I am faced with covering my tomatoes on Monday to deal with nearly freezing temperatures. This shouldn’t be happening already. But you can’t fight the inevitable! Fall is the perfect time of year to get back into crochet and warm up with a cup of tea under balls and balls of yarn! I have found some beautiful fall amigurumi for you to enjoy, that will warm your heart and help you embrace this new season. The start of fall means the start of school for us and while I’m sure your kids’ teachers already have plenty of apple paraphernalia, I bet ya they don’t have an amigurumi apple. I love play food patterns! They make such great toys for kids! This is a beautiful apple pattern that would be a fun twist on an old classic gift for a teacher. And hey, if they don’t have a use for it, they can put it in with the play kitchen at their school! If you have any fall babies in your life, this little fall reindeer essential oil diffuser toy is so fun! It’s not a pattern, but it’s such a good idea for a little handmade gift for a new baby! If you did want to make one of these yourself, the reindeer pattern is available from TheresasCrochetShop. I know we normally think about reindeer as Christmas things, but these animals have to live year-round, right? Of course they would just wear woodsy orange scarves in the fall, right? And while not exactly amigurumi, I couldn’t bear not to show this adorable scarecrow baby photo prop outfit/costume pattern. You could make it yourself and dress your little one up for Halloween as an adorable scarecrow! How adorable is that? Almost makes me want to have another baby! It wouldn’t be fall without pumpkins, right? This pattern set complete with beautiful fall flowers, mice and a pumpkin on a vine is a sweet deal! I love how the little mice are poking their heads out of the pumpkin! I know most of my readers are Americans, but we Canadians celebrate Thanksgiving at the beginning of October, so these little guys would be great decor for the upcoming Thanksgiving celebrations! I hope you enjoyed this little round up of fall amigurumi patterns! Start crocheting today! Or pin it for later! It is still summer! Put your pumpkin spice away for a couple more weeks! We can hold off on making scarves and slippers and hats for a few more weeks too! So let’s enjoy summer a little longer and look at some fun summery patterns! Fun flamingos are pink and summery! Check out this adorable mini flamingo pattern in a mini flower pot from Pink Mouse Boutique. Of course, if you’re really hanging onto summer, so are this pair of beach-attired flamingos by Crochet Village. Make and display this summery couple and it will feel like summer even in the dead of winter! Make these today or pin them for later in the winter when you’re wishing it were summer! When I was researching my top 10 summer picks, I came across so many amigurumi doll patterns, but I didn’t want to make it all only dolls, so here are a few that I missed. This beautiful summer doll pattern designed by Lulubalshop is adorable and the cute little outfits can be made to look like watermelons and lemons. I love lemons! They’re so yellow and sunshiny! I love that they come with adorable little inner tube floaties! This adorable doll is by one of my favorite designers: Carmen Rent. If you love the look of Coraline or Lalaloopsy dolls, you will not be disappointed. She has so many adorable doll patterns, you’re sure to find something that suits you–or the person you’re making it for! Don’t you love her embellished little halter top and matching beach bag? You can get the pattern here. If you’re looking for a whimsical doll amigurumi pattern, this little doll comes with an ice cream cone headband! It doesn’t get much more summery than that. This last week has been so hot, I wouldn’t blame people for wanting to put a REAL ice cream cone on their head! The designer of this pattern, airali has plenty of other adorable and whimsical amigurumi patterns as well. Definitely worth checking out! Aren’t pineapples awesome? They’re so yellow and fun and summery! And they’ve been everywhere lately! Love them! I’m crocheting them and I’m decorating with them! I’m making pineapple costumes for my aloe plants! They’re awesome! Ok, these aloe plants are a little scraggly looking, but aren’t their pots adorable? You can find the free pattern for these little pineapple aloe plant pot covers here. I’m working on a pattern for a bigger aloe plant that I have. I’ve been trying to write notes, so maybe I’ll be able to share a pattern made by me here! Woot! Check out these other great pineapple crafty projects! Crochet your own pineapple throw cushion with this fun pattern! There’s an adorable pineapple character in this sweet Summer Amigurumi Kit. Kits come in so handy, especially if you’re new to crochet. You don’t have to make multiple trips to the craft store if you’ve forgotten something, you don’t have to buy a large ball of yarn or package of notions you may not use again. If you’re looking for just the pattern, you can get it here. It also comes with an ice cream cone amigurumi and a surfboard. Summery fun! Pineapple garland. They can also be made into key chains! This would look so cute in my gazebo space if I didn’t already have lights hanging up! I do have one side that doesn’t have any lights, so maybe it would look good there! Happy crafting! Pin it for later! Probably the rest of you have already had your holidays and it certainly seems like holiday mode has been in full swing for the last month. The kids are out of school, evening activities are on hiatus, the weather is warmer. At our house, we’re renovating, so even though I’ve just begun my holidays from work, I don’t really get a break, as we’ve got a lot of work to do around here. 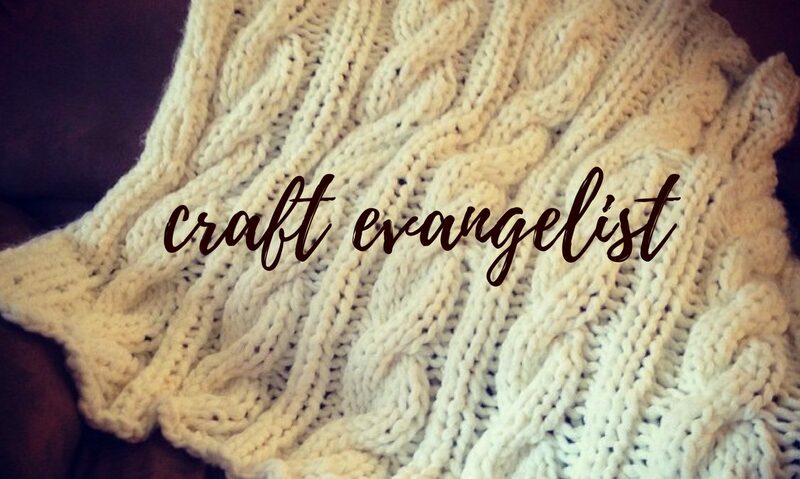 But it doesn’t mean that I’m still not finding great crafty things to share the good news with you about! Don’t forget to follow my Pinterest boards to keep up with all the great crafty stuff I share on there. It’s my fave. If I’m not posting here as often, I’m always there saving awesome ideas. So today I’ve gathered up my top 10 Summer Picks for gift-giving (or gift-making!) from my favourite online crafty place, Etsy! With work planned in nearly every room of the house, I’ve tried to find one place I can finish. We built a new deck a few years ago, and we got some lovely deck furniture and a gazebo which I love, so that’s been the “room” I’ve been working at finishing and I have found some great crafty things that I love. Also, birdhouses are such a fun way to decorate an outdoor space. Check out these adorable vintage camper birdhouse kits from 1Man 1 Garage! Aren’t they amazing? What a fun crafty gift idea to make with the kids this summer? So adorable! I think this would fit in great with my outdoor space! Isn’t it gorgeous? So delicate and pretty! It would make a super simple wedding band for an understated bride! Qians Little Creation has this super cute amigurumi doll crochet pattern that would make a super sweet little gift or an inspiration for a new crocheter to learn the craft! And once you make one of those, you can make some amigurumi furniture to furnish an adorable little amigurumi doll house! This pattern is by Amigurumisnl and I think it’s so creative! You can make anything out of crochet! Or you could make this adorable Lewis the Lion amigurumi! Another little project perfect for travel or the beach by Theresa’s Crochet Shop! Or if toys aren’t your thing, perhaps you’d like to make a super sweet Crochet Tunic for the beach for your summer vacation? I love the look of lacy crochet patterns for casual wear! And this pattern is a steal at only just over $2 CAD! Instant digital downloads mean you can get crocheting right away! carolrosa designs has plenty of other affordable patterns you can try out too! Or, maybe you could use a new pair of flip-flops? Make your own for yourself, or as a gift from this pattern (for Child-Adult, sizes 3-10) from Mamachee! As sad as it may seem to think about the end of summer, summer is also a great time to start working on projects for fall. We’ve had a few chilly, rainy days this week, so curling up with a ball of yarn doesn’t sound so bad. And then you could make this adorable hooded fox crocheted jacket. That about wraps it up! Enjoy the rest of your summer! Make some memories with your friends and family and make some stuff! Why are teeny things soooo cute?!?! Adorable! Something about tiny dolls and toys takes me back to my childhood so easily. I wrote at least a few little stories as a child of having a little friend that could fit in my pocket. And these sweet, little, crocheted amigurumi dolls remind me of that! Check out this adorable little bee pattern that I found on Etsy. I love yellow! The little honeycomb flower that this little bee sits in is one of my favourite parts of this sweet little pattern. Tiny crochet projects are great because they are quick to work up, they don’t require hauling around a lot of yarn so they make great summer travel projects and great little gifts for summer travellers to use their imagination on long car rides or waiting in airports. Go pick up this pattern today so that you’re all ready when the crocheting mood strikes! Or pin it for later (or to show someone else)!